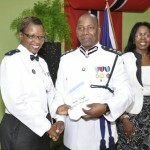 At the end of this column I will adopt the words of a recent editorial in the Trinidad Express newspaper on violent crime even as the murderers, whom we have undoubtedly empowered, laugh in our faces. Meanwhile, I have been dwelling on the richness of our culture and its potential for economic diversification and social peace because of the urgency of investing in these riches. In New York City last week, I again experienced the rapture with which Caribbean dance music and rhythms are received in metropolitan centres when intelligently packaged and produced. 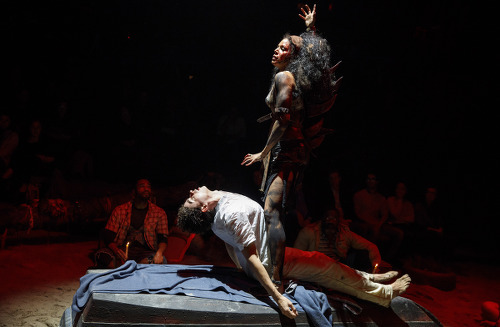 Photo: A scene from the Rosa Guy play, Once On This Island. Once on This Island is a Broadway musical adapted from a book by—surprise, surprise—a Trinidad-born author, Rosa Guy. The musical, reportedly first performed in 1990, recently won the top award for excellence in Broadway theatre for 2018 in the category Best Revival of a Musical. It is the story of a black girl, Ti Moune, who saves the life of the son of a white landowner after a car accident on an island in the French Antilles—think Haiti—and her star-crossed love for him. This line reminded me of a column I had written years ago, linking Caribbean music and dance to conditions of disadvantage. That column provoked a regional Prime Minister to phone me. He said he was a regular reader of my column and a lively discussion ensued. 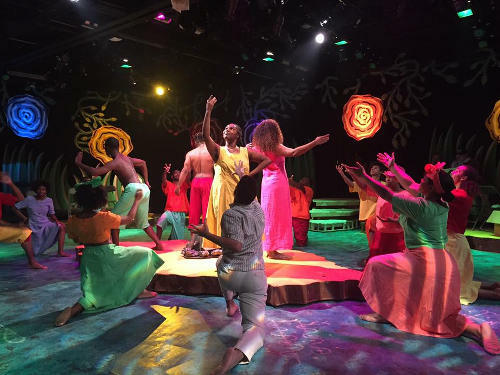 Throughout the performance of Once on This Island, the audience reacted with much gusto, at no time more so than in response to an item of dance which contrasted the upper-class ballroom dancing with the rhythmic beat and expressions of dance from the roots of the island. At the curtain call of Once on This Island, there were also rousing cheers for the small live ensemble that produced the rhythms of the Caribbean that captivated them. 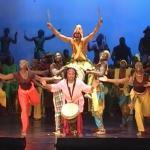 I could only imagine how they would react to the traditional pieces in Carib Dance’s repertoire. The similarities in costuming used on the Broadway stage and traditional Caribbean dress were striking. 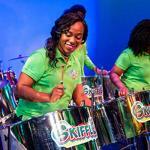 To my satisfaction when I trawled through the reviews of the show, after I had seen it, I found a description in New York Theatre Guide, which tied together the factors of socio-economic disadvantage, over the barriers of which music and dance are created and prevail—the culture of making music, kaiso and dancing to survive. By contrast, originality is what we gravely lack in political thought and action. 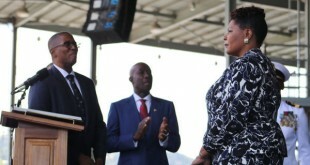 One disastrous result is the steadfast refusal to refashion the constitutional arrangements relating to law enforcement at which the failed Service Commission constitutional infrastructure sits. 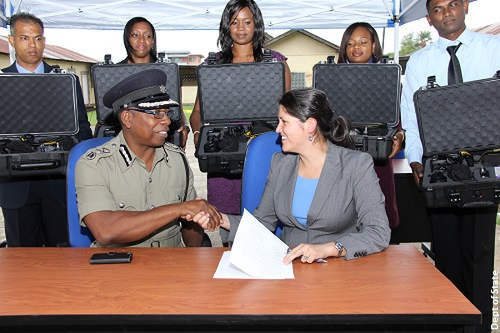 Photo: Acting Police Commissioner Stephen Williams (left) shakes hands with US Embassy Security Policy and Assistance Coordinator, Juanita Aguirre, at the handing over ceremony of 18 forensic photography kits to the Trinidad and Tobago Police Service by the US in 2015. 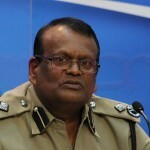 The current Government says glibly it is not the police as though that frees them from any responsibility to propose fixes to a system that is failing us to death; our deaths. 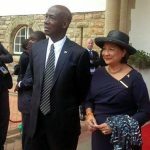 Dear Editor: T&T’s culture trap; are shortcuts and lame ducks with us to stay?